Jalandhar (Punjab), Jan. 28, 2019: The stage is for India’s ‘future champions’ to take off at the Schools India Cup National Volleyball Championship here on Tuesday at the pristine Lovely Professional University campus, Jalandhar. The two-day championship is expected to witness 12 state teams in the fray to win the glistening trophy. This year’s School India Cup, arguably the country’s premier school volleyball tournament today, will showcase about 168 top talent from 12 state teams in the under-16 age category who have reached the final stage after a grueling two-tier competition conducted at the state and district level. Leading the favorites for the title are defending champions Haryana, followed by UP and Tamil Nadu as the other contenders. 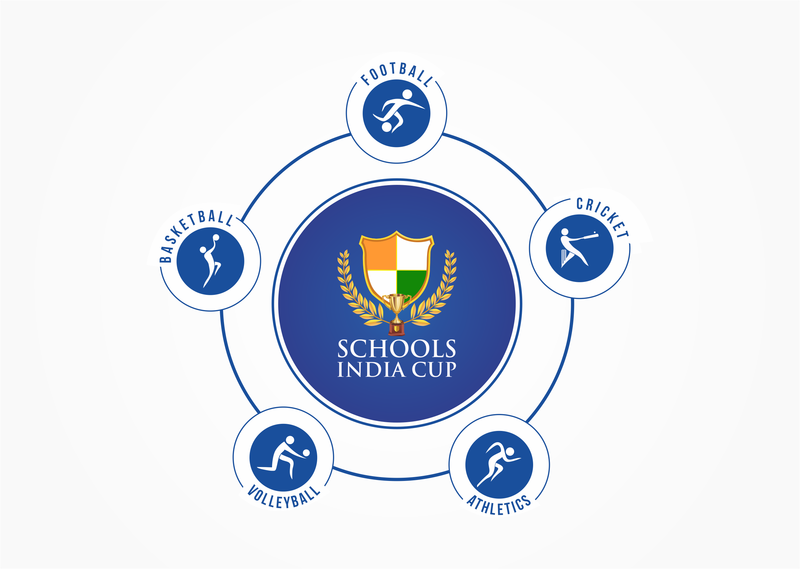 The Schools India Cup was launched by the School Sports Promotion Foundation (SSPF) in collaboration with Sports Authority of India (SAI) earlier in 2015 and is recognised by the Ministry of Youth Affairs and Sports and supported by the Ministry of HRD to implement the National Talent Search & Nurture program (NTSN). This year, more than 7,600 schools have registered overall to participate in four sports disciplines under the NTSN program including 1,100 schools exclusively for volleyball. Raw talent has been spotted through conduct of district championships covering the length and breadth of the country, from Kargil in the north to Kanyakumari in south, and Kutch in the west to Kalimpong in the eastern part of India. For the Season 3 Schools India Cup, Dainik Jagran are the Hindi Media Print Partner, Vector X is the ‘Official Kit Partner’, while the National Volleyball Championship is Supported by Lovely Professional University, Portronics as the ‘Electronics Partner’, and Raasi Jal as the ‘Hydration Partner’. School Sports Promotion Foundation (SSPF), is a non-profit philanthropic trust committed to promoting a National movement in sports at schools, colleges, and universities across India. In collaboration with Sports Authority of India, SSPF launched the National Talent Search and Nurture programme in 2015 to identify sporting talent across sports and nurture them for national and international competitions. The SSPF model for school sports is to encourage maximum participation in sports to all, serve high-performance sports and create a model for providing a social and economic safety net to the youth investing their time and energy in sports. For talent search, SSPF conducts its marquee Schools India Cup for school students in the age category of under-16 in athletics, volleyball, basketball, cricket and under-15 in football in a three-tier structure – district, state and National. The top performers in each of these five disciplines are then selected by experts for national camps, and further up, only the finest talent will be selected for Centre of Excellence which will be created in reputed schools, where the young talent will be provided specialised sports training, along with quality education and boarding and lodging, free of cost, up to Class XII.